The Academy of Culinary Nutrition creates a digital cookbook for a cause every year (now 6 years running!) with recipes made by the alumni Culinary Nutrition Experts. 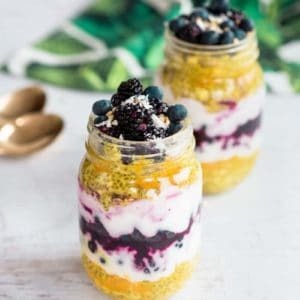 This Tie-Dye Tropical Chia Parfait recipe by Jennifer Barr is one of the 50 recipes found in the From Scratch 2019 cookbook. Jennifer Barr is a meal prep guru and you can follow her on Instagram @theplantedone. 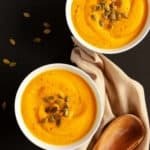 My own Roasted Butternut Squash and Cauliflower Soup recipe is included in the cookbook, so be sure to check it out! All, as in 100%, of proceeds from the sale of this digital cookbook, go to a charity. This year the goal is to raise $15,000 for Organics 4 Orphans. Organics 4 Orphans is a non-profit that works with African communities by educating locals on sustainable, organic agriculture so they can move their own communities from food reliance to a condition of self-sufficiency – even into surplus. 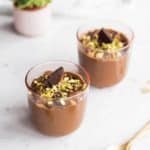 What do you get when you purchase the From Scratch 2019 digital cookbook? 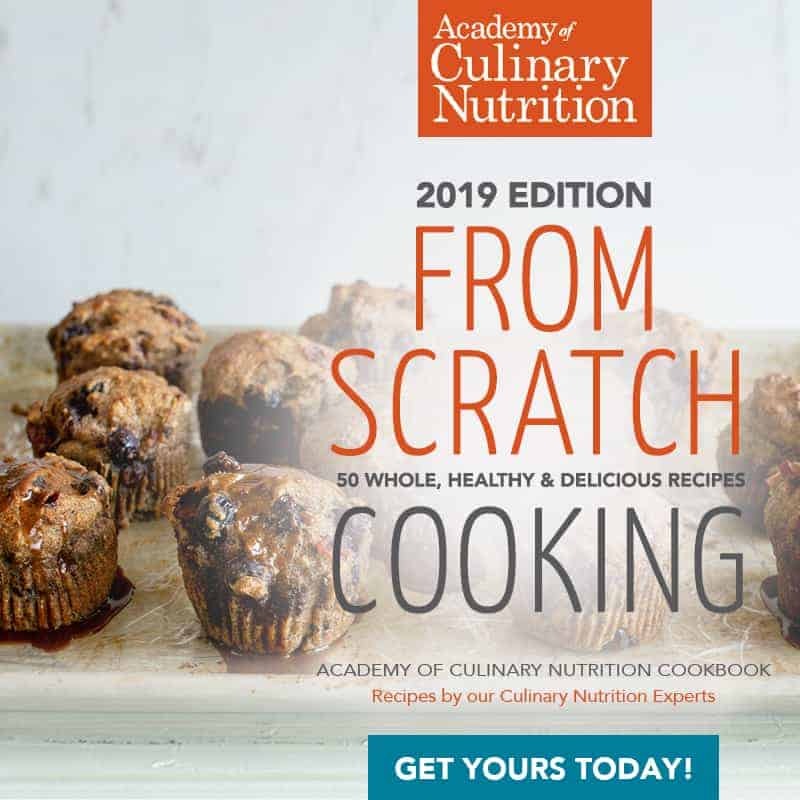 Click here to get your From Scratch 2019 cook today! P.S. Want to know why I loved the Culinary Nutrition Expert program? Read my CNE program review here. 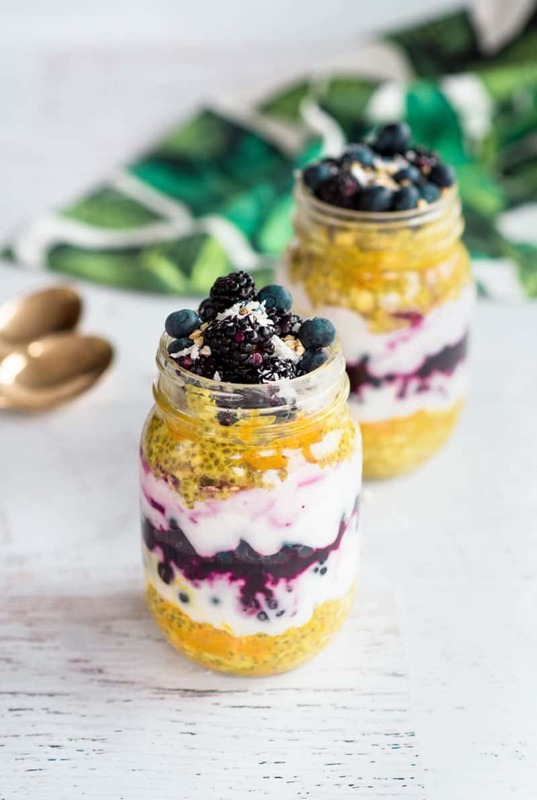 Once the chia pudding has sat overnight, get your favourite glass jars ready for layering. Put a layer of pudding, followed by the coconut yogurt and then the fruit. Repeat the layers again, ending with the fruit. Top with a sprinkle of shredded coconut or toasted buckwheat if desired. Bonus Tip: For turmeric lovers, sprinkle a little more turmeric in between the layers! This is a very beautiful dessert. I’m pretty sure I wouldn’t like it unless I subbed regular yogurt (I’m weird and don’t like coconut lol). But I bet my kiddos would like this. Thanks for sharing!